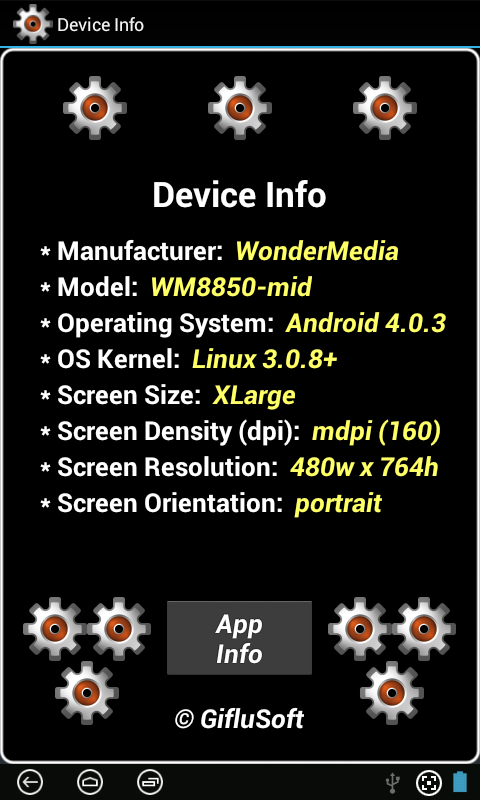 Device Info is a simple Android App that probes a device for the following information and displays it: Manufacturer, Model, Operating System (OS), OS Kernel, as well as Screen Size, Density (dpi), Resolution and Orientation. 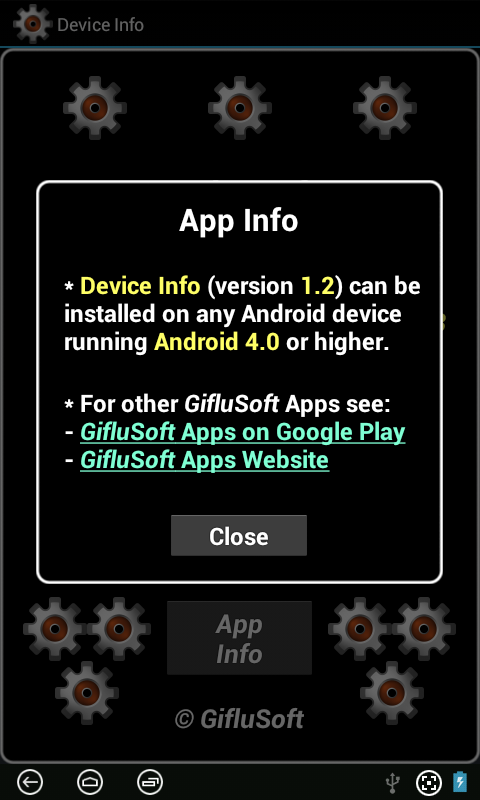 Version 1.2 can be installed on any Android device running Android 4.0 or higher. Device Info is easily viewed on tablets, but is also suitable for smaller devices. Device Info is designed to use larger, easy to read font sizes, dimensions permitting.